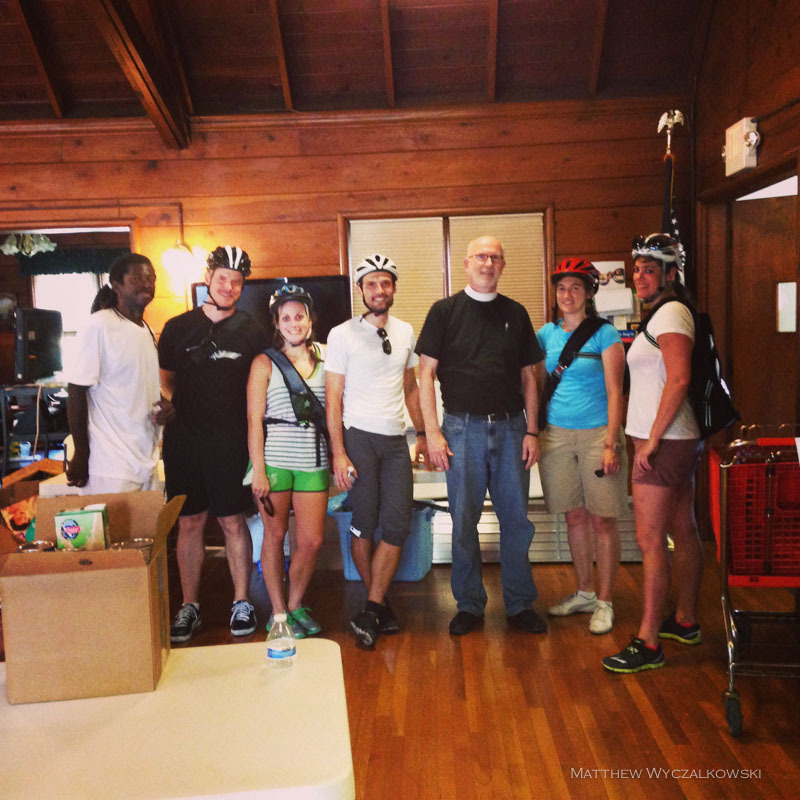 Dropping off food at St. Stephen’s Episcopal Church. 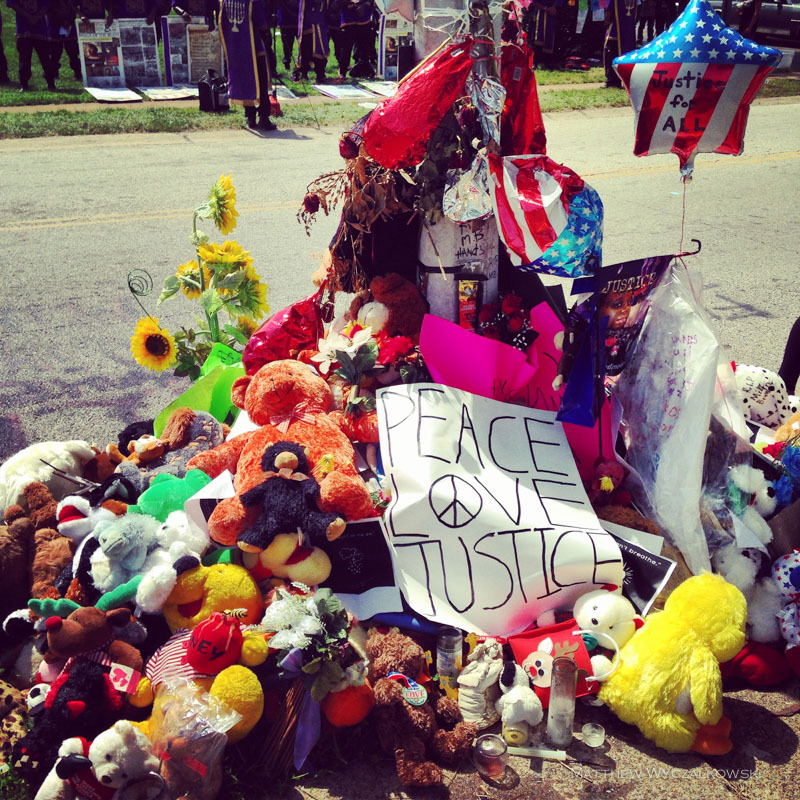 At the memorial to Mike Brown. Entire neighborhoods in Ferguson (here, along Ferguson Ave) are fenced in – streets, sidewalks, and all. It is impossible to enter these neighborhoods for long stretches many blocks long, posing significant barriers to pedestrian access. 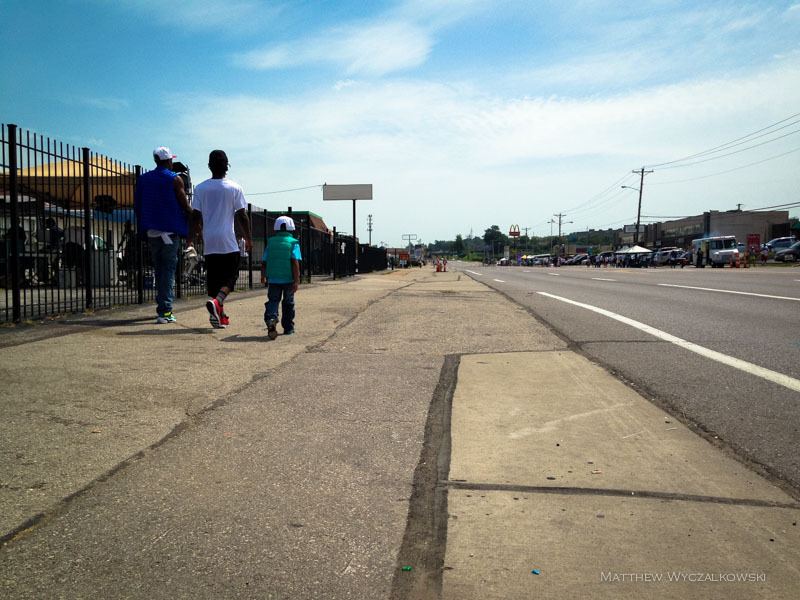 Pedestrians along West Florissant Avenue near Canfield Drive. The infrastructure is unfriendly to pedestrians, with wide roads and no curbs to separate people from cars. Saturday morning (8/23/14) we’ll once again be hosting a bike ride to Ferguson. 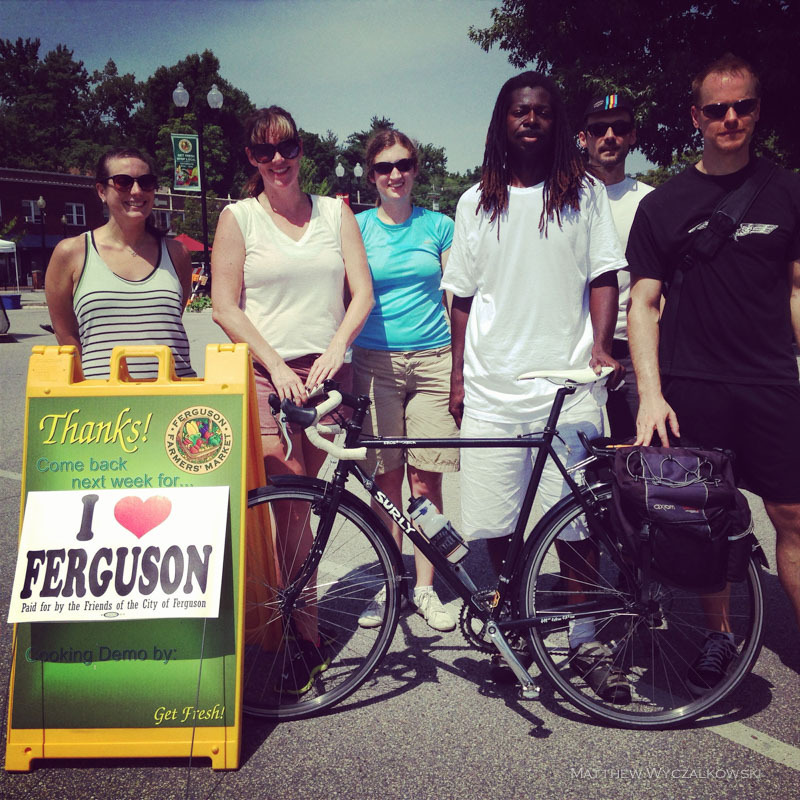 We will visit both the Ferguson Farmer’s Market as well as West Florissant Avenue. The ride will depart from Hartford Coffee Company at 9:30 on Saturday morning. 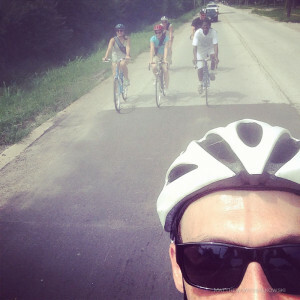 We will swing by the Handlebar in the Grove around 9:45 and stop at the Grand Basin in Forest Park at 10. We’ll then proceed north via St. Vincent Park and the Ted Jones Trail, and aim to hit the Ferguson Farmers Market around 11 or so. Around noon we will ride to St. Stephen’s Episcopal Church to drop off donations to the food pantry, then continue down Ferguson Ave to West Florissant Ave and spend some time at the scene of the protests and Mike Brown’s shooting. This is not a protest, but a way to show support to a community at a difficult time and to bear witness to the historic events taking place there. I expect we will head back around 1:30 or so and be back in South City before 3. Remember that Saturday is going to be a hot day and we’ll be riding roughly 25 miles — drink plenty of water before the ride and bring more with you. 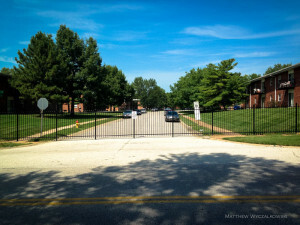 Also, meeting folks at the UMSL North Metrolink station is definitely an option if you’d prefer not to ride all the way – please get in touch with me if you’d like to do that and we’ll make it work.